Ina’s Fashion Bright mother of 15 puppies, of only 13 weeks old, makes an impressive come back! CAC, CACIB completing all requirements for her International championship* Brussels Trophy Winner 2017 , Benelux Winner 2017 and Best Of Breed. 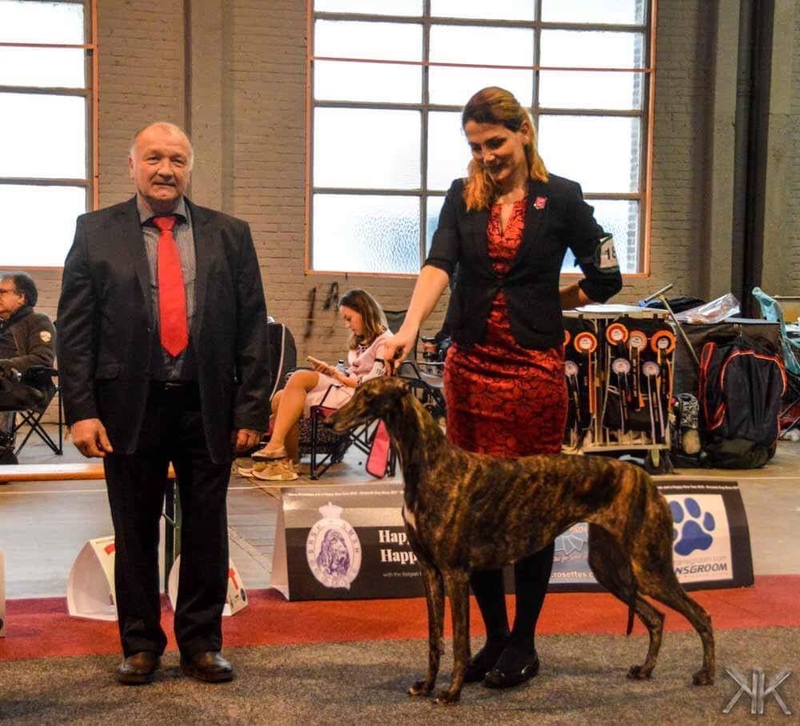 Sobers Amadeus Karkati, Ex1 in Open class.